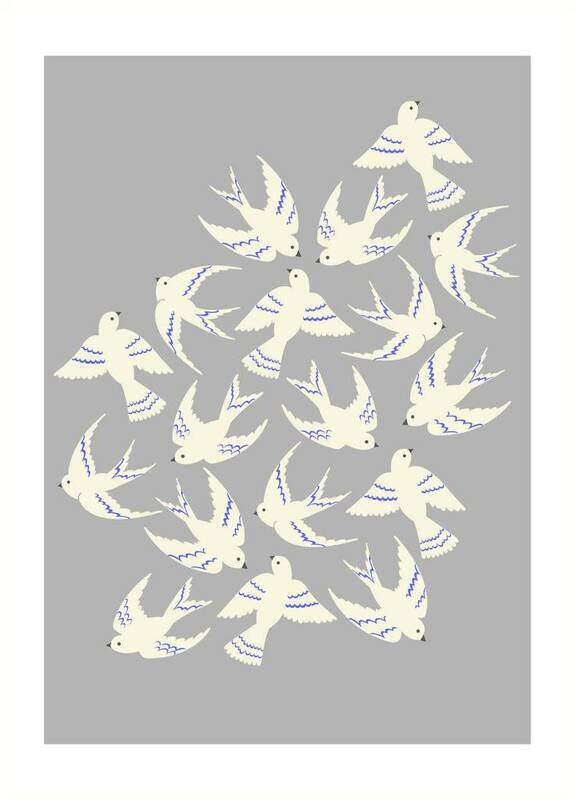 Birds taking off illustration Art Wall Print. 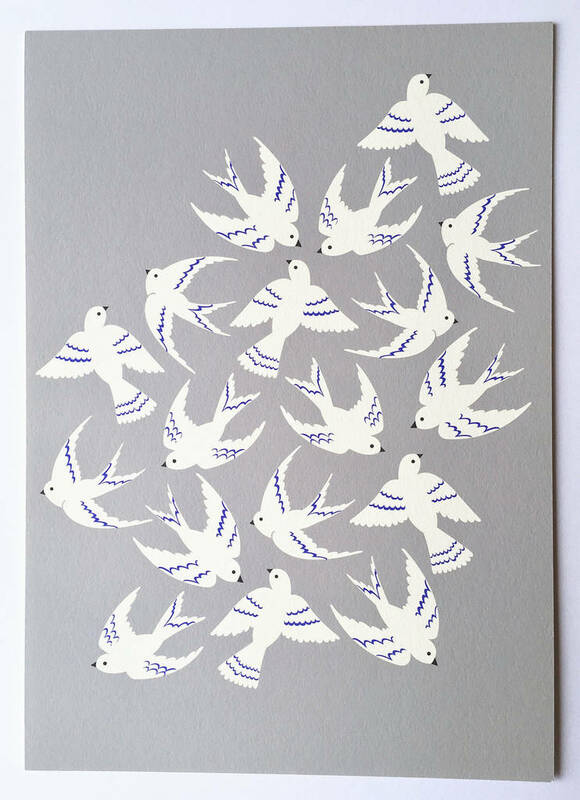 This print is part of a series of illustrated bird prints I have created. 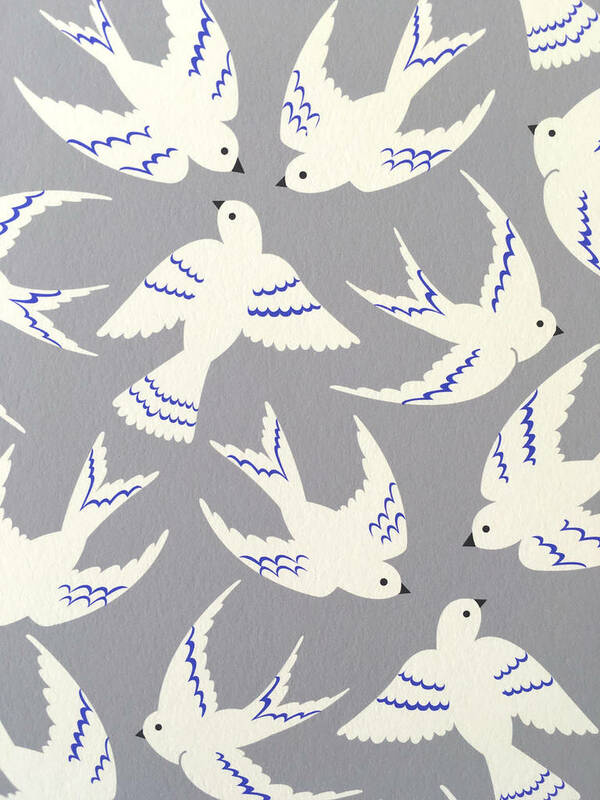 Delicate bird print cream and blue on a moody grey ground. Modern although vintage inspired. You can view my other prints in my store too. 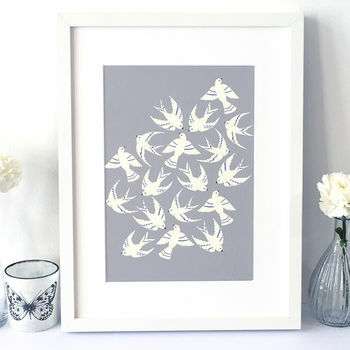 They complement each other in colours and style, two or three of these prints work really well hanging side by side. Unframed prints are packed in cello wrap and posted in a hard backed envelope box. Framed prints are wrapped in bubblewrap and packed in cardboard for safe shipping.